“Virginia Tech issued a warning on its website that shots were fired at its main campus. The school hassuspended transit service and is advising everybody to find shelter. The suspect is desrcibed on the school’s website as a white male, wearing gray sweatpants, a gray hat with neon green brim, a maroon hoodie and backpack. He was on foot. 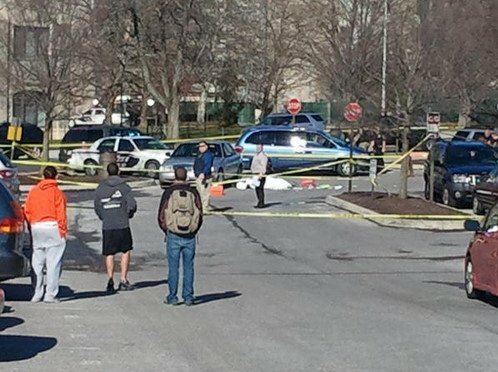 Shortly after noon today, a Virginia Tech police officer stopped a vehicle on campus during a routine traffic stop in the Coliseum parking lot near McComas Hall.During the traffic stop, the officer was shot and killed. There were witnesses to this shooting.Witnesses reported to police the shooter fled on foot heading toward the Cage, a parking lot near Duck Pond Drive. At that parking lot, a second person was found. That person is also deceased.Several law enforcement agencies have responded to assist. Virginia State Police has been requested to take lead in the investigation.The status of the shooter is unknown. The campus community should continue to shelter in place and visitors should not come to campus. From VT Alerts (12:37 p.m.): Gun shots reported- Coliseum Parking lot. Stay Inside. Secure doors. Emergency personnel responding. Call 911 for help. Those seeking more information about the fund should call 540-552-2011 and ask to speak with Dana Sutphin, branch manager. 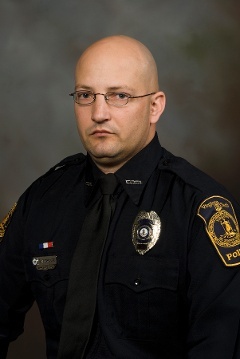 Expressions of support or condolence for the Crouse family can be sent to police@vt.edu.